Here is another shot of a black bear cub that I saw in Yellowstone National Park. I posted the first picture here. 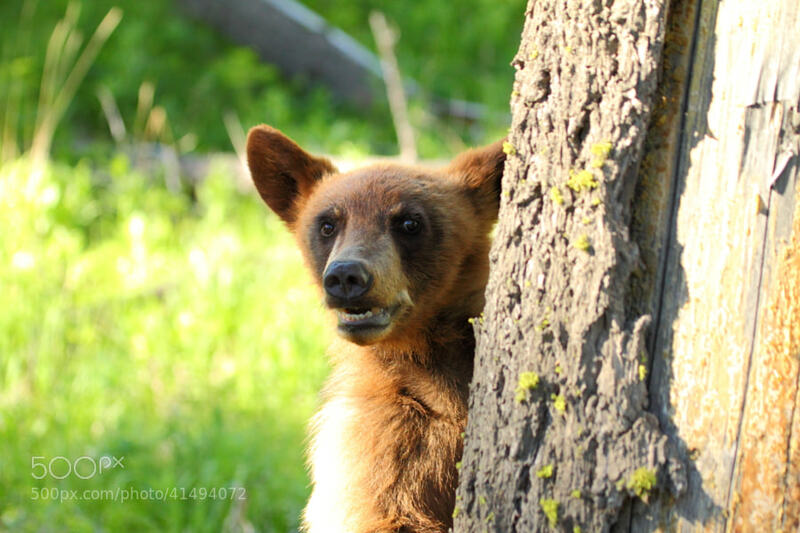 As he was foraging along the woods he approached a tree and peeked out around it.